Studies recommend that iboga / ibogaine has considerable potential in the treatment of addiction to heroin, cocaine, crack cocaine, methadone, & alcohol. There is also indication that it is useful in treating tobacco dependence. It’s also been suggested that the drug may have considerable potential in the field of psychotherapy, as a treatment for the effects of trauma or conditioning. 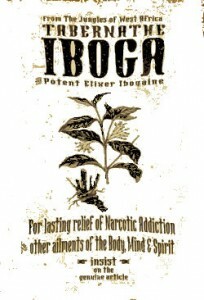 A single administration of iboga / ibogaine usually has effects useful in the treatment of drug dependence. First, it causes a giant reduction in the signs of drug withdrawal, allowing comparatively painless cleansing. Secondly, there is a marked lowering in the desire to make use of drugs for a time period after taking iboga / ibogaine, usually between week & several months. This has been confirmed by scientific studies. Finally, the drug’s psychoactive nature is reported to help plenty of users understand & resolve the issues behind their addictive behavior.